Are Beechcraft King Air planes mainly used as business jets? The Beechcraft King Air is a small twin-turboprop aircraft that is favored by a number of small-plane operating individuals and organizations throughout the world. The first in its class, Beechcraft King Air have been in continuous production since 1964. Though it has competition in the market for other small aircraft, it has consistently beat out its competitors because of durability, trustworthiness, and a quality long-term product. These planes got their recognition as quality business jets. Unlike utility working aircraft, for half a century, they have been used as charter and private planes for business people all over the world. Though the Beechcraft King Air is known for being a business jet, various governmental and non-governmental organizations also use the King Air planes for a variety of different purposes. The aircraft are officially designated as civil utility aircraft. They are not used only as business jets, and have been instrumental in a number of military and civil utilities all over the world. Special versions of the King Air were introduced for military usage by the Japanese Maritime Defense force after 1973 and in the United States Navy, Coast Guard, and as liaison transport for military officials. During the presidency of Lyndon B. Johnson, a brand new King Air was designated as Air Force One when transporting Johnson between Bergstrom Airforce Base and the Johnson family ranch. Military usage for the King Air planes was designed not for combat, but rather transportation of cargo, personnel and baggage. King Air planes are used in the military of 24 countries, including the United States, Canada, Thailand, and Chile among others. Seven different countries use King Air craft for civil administrations. They are utilized mostly by civil aviation administrations, provincial governments, and civil training organizations. In the United States, the Forest Service, the Drug Enforcement Administration, and the Federal Aviation Administration all operate these planes. Eleven states in the union own and operate these aircraft. Even NASA operates a King Air jet. In recent history, the Royal Flying Doctor Service of Australia operated a large fleet of 90 Series King Airs. The last of these aircraft were retired in 2006 and replaced by King Air 200 Series and the Pilatus PC-12. These planes were instrumental in helping medical professionals reach emergency patients in extremely remote areas of Australia. The King Air is used also by corporations, private individuals, air taxi services, and non-governmental organizations. 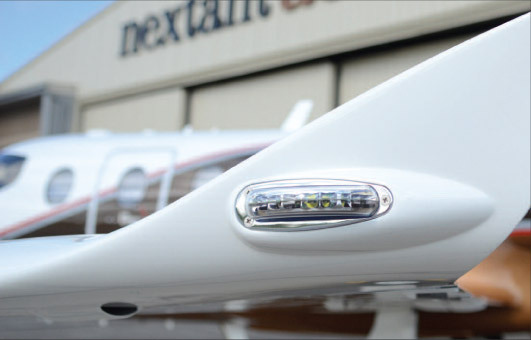 The considerable usage of these durable and dependable aircraft have gained them a reputation for being the industry standard in business jets. Exclusive distributors of Nextant Aerospace business aircraft in Asia Pacific.